Musicians in Whitehorse may lose both of the community's local music supply hubs by summer. CBC chatted with the store owners to find out why. Whitehorse — a town seemingly full of musicians — may be left without a music store by summertime. That's because the future of the city's only two music stores are in limbo: one's now on the market and the other has plans to shut down its retail storefront. 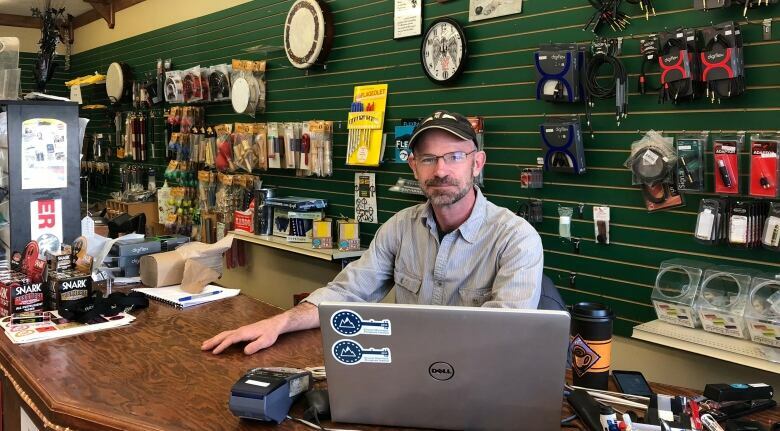 "It's certainly a hub of the community," said Dean Tower, owner of Dean's Strings and Music Supplies. After running the music hub for over a decade, Tower said he's now on the hunt for a new owner. Dean's Strings was listed for sale earlier this month. Tower said he's planning to move out of territory by July, for family reasons. "I'm really hoping I can sell it. 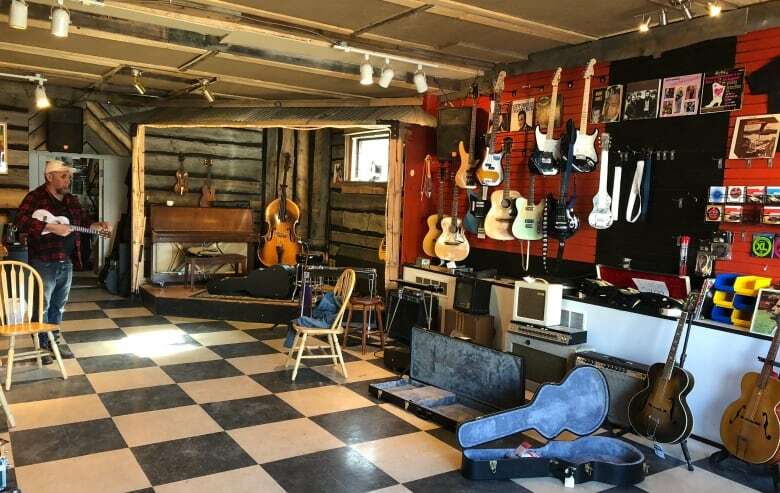 I'm selling it for quite cheap because I don't want to leave Whitehorse without a music store," said Tower, who said the store is listed for sale for about $125,000. "I'd feel really, really bad." What happens if no one buys the store? "I guess I close up," he said. 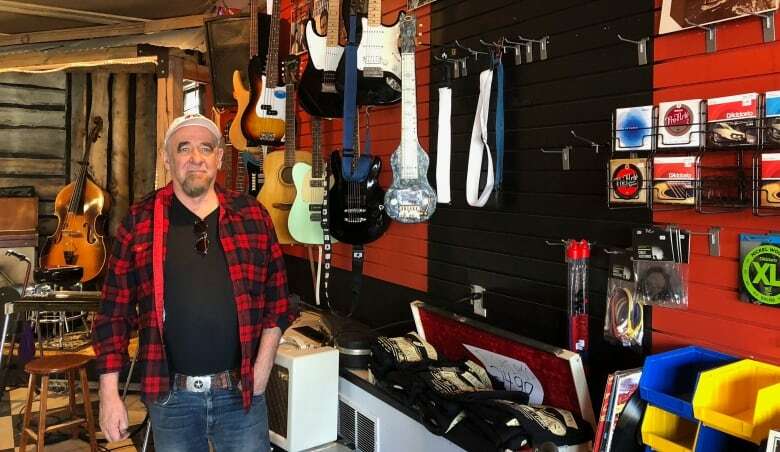 The only other music store in town, Hamilton & Son Guitar Works, will be closing down by May — at least the retail side of things, said owner Bob Hamilton. Hamilton, a well-known Whitehorse musician and producer, started the business just three years ago. He sells vintage instruments that he restores and offers repairs. There's also a small stage for performers. The store offers coffee and people can come in and "hang out" for a jam session — "a community drop-in centre kind of vibe," said Hamilton at the time he opened the shop. But Hamilton said he recently made "lifestyle choice" to focus more on his music and recording studio. "Relief" — that's how Hamilton describes his feelings about downsizing. "I'm a very busy person … having to man a store is one extra thing." The store is currently open Monday to Friday. Starting in May, it'll only be open on Wednesdays for picking up or dropping off instruments for repairs, and he'll still sell basic supplies like strings. On other days, Hamilton said he's hoping to share and sublet the space to music teachers to help pay for the rent. He'll also continue to offer it as a performance venue. Both Hamilton and Tower agree — online retail giants have had an impact on their small businesses. "I think it affects everything ... You can't really compete with a company like Amazon," said Hamilton. "There's really no way that a shop can compete with online," said Tower. Still, Tower has a positive message for the prospective owner of Dean's Strings — a place he says had a "whimsical start." "I started the business with $5,000 of my own money, and $5,000 of my family's money. And away it went," said Tower. "It's a fun gig," he said. "It's given me a pretty good life for the last 10 years. I have no complaints."